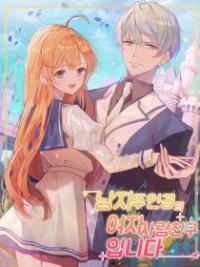 You’re reading novel The Demonic King Chases His Wife: The Rebellious Good-for-Nothing Miss Chapter 112 online at LightNovelFree.com. Please use the follow button to get notification about the latest chapter next time when you visit LightNovelFree.com. Use F11 button to read novel in full-screen(PC only). Drop by anytime you want to read free – fast – latest novel. It’s great if you could leave a comment, share your opinion about the new chapters, new novel with others on the internet. We’ll do our best to bring you the finest, latest novel everyday. Enjoy! What kind of relations.h.i.+p did they have? What made Nangong Liuyun think that he could do whatever he wanted with her? Her heart bursting with fury, Su Luo heavily stomped on Nangong Liuyun’s foot. Nangong Liuyun smothered a grunt and his arms encircling her tightened even more. His lips sucked and nibbled hers. Nangong Liuyun continued kissing Su Luo, unmoved by the pain. Su Luo was so infuriated, she bit him in retaliation! Scarlet droplets of blood dripped from his lips. The blood erotically dropped from his thin lips to land on her petal-like ones. She could taste the scorching heat from the pa.s.sionate emotions contained within that blood****There were also some hard to describe feelings. Nangong Liuyun’s phoenix eyes that were serene with hidden depths narrowed dangerously. They were fixated on her. Su Luo coldly widened her own pair of eyes and refusing to back down, confronted the clearly cold and cruel expression within the depths of Nangong Liuyun’s eyes directly. Two pairs of eyes looked at each other, wordless and unspeaking. Suddenly, like an eagle swooping down from up high, Nangong Liuyun vigorously and commandingly held the back of Su Luo’s head, using a large slender hand to forcefully lift up her chin. He leaned down and forcefully kissed her! His hot tongue ardently invaded her mouth frantically wreaking havoc, causing the blood to mix and spread within her mouth. The metallic and sweet flavor overwhelmed Su Luo’s senses. It was as if Nangong Liuyun wanted to use the blood to leave proof of his existence inside her. It also seemed to convey some kind of oath and affidavit of owners.h.i.+p. His actions were domineering and thoughtless. He kissed her with adamant intensity. When Su Luo was finally able to liberate her lips, lacking oxygen, she gasped for air using deep breaths. Her cheeks were scarlet. Su Luo felt as if the air she was breathing carried a scalding temperature that was abnormally hot. Her dark eyes were obstinate and unconcerned, as if the kiss just now never happened, leaving her unaffected. She was still strongly resisting him and wouldn’t even acknowledge the relations.h.i.+p between them. This point made Nangong Liuyun especially incensed! 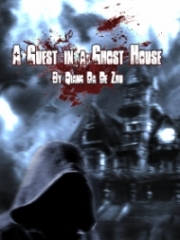 Nanong Liuyun’s complexion hazed over, his eyes were menacing, as if he wanted to swallow her whole. He used even more strength to grasp Su Luo’s hand. However Su Luo’s expression remained unchanged. “You were injured?” A caring expression flashed through Nangong Liuyun’s cold, star-like eyes. He hurriedly released Su Luo. Nangong Liuyun finally noticed that Su Luo’s hands had been forcefully bound before, leaving several traces of bruising. The bruises were quite deep, as if the binding had embedded into her flesh. In addition, both her face and body disclosed line after line of lacerations. These injuries were sufficient to ill.u.s.trate that within the past day and night, Su Luo had spent the time facing various dangers. “Who was it?” Nangong Liuyun’s icy cruel eyes that easily captivated people were permeated with an intense rage. These injuries were clearly man-made and not the work of magical beasts! The fury on his face increased, issuing forth a strong aura of death. His entire person immediately gave off a ruthless, blood-thirsty air like the alluring, cold-blooded Asura shrouded with the darkness of the night. He was so furious. Was he really concerned about her? Su Luo’s beautiful eyes gave off lights that were like the restless tossing of watery waves, cleverly revolving. Should she take a risk and bet on it? “It was….” Su Luo was thinking about telling the truth when she saw the Jade Lake’s fairy soundlessly appear behind Nangong Liuyun. The Jade Lake’s fairy was still as devastatingly beautiful as before. She was clothed in a white dress, the color as pure and holy as snow. The hem of the dress lightly danced with the wind. The Jade Lake’s fairy stood there, showing a strong presence. With misty eyes that were like liquid fog, she clearly and calmly looked at Su Luo. Her elegant and extremely beautiful complexion revealed lips pursed in a flowing, shallow smile. 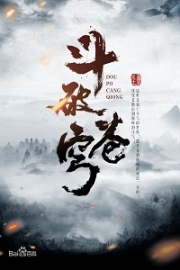 You're reading novel The Demonic King Chases His Wife: The Rebellious Good-for-Nothing Miss Chapter 112 online at LightNovelFree.com. You can use the follow function to bookmark your favorite novel ( Only for registered users ). If you find any errors ( broken links, can't load photos, etc.. ), Please let us know so we can fix it as soon as possible. And when you start a conversation or debate about a certain topic with other people, please do not offend them just because you don't like their opinions. You're reading The Demonic King Chases His Wife: The Rebellious Good-for-Nothing Miss Chapter 112. This novel has been translated by Updating. 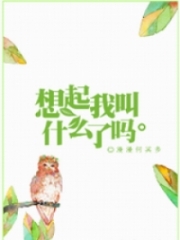 Author: Su Xiao Nuan,苏小暖 already has 14660 views. Current Time is Apr-22-2019 12:11:17 PM.